Biotechnology lab experiments have become a common part of many high school and college curricula. Not only do students use biotechnology methods to perform original research, they learn about biology by carrying out standard techniques such as DNA isolation and transformation. To support these activities, many colleges hire biotechnicians to help prepare materials and assist students and teachers with the lab techniques. The items below also include videos with student interviews and descriptions of educational pathways for students with an interest in biotechnology or related careers. 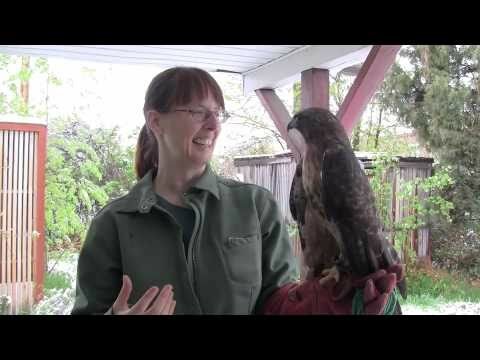 Jen Hajj, Education Director from Hawkwatch International, shows us some red tailed hawks and talks about studying hawk migration patterns.